Sometimes you just want a simple cake to have with coffee. 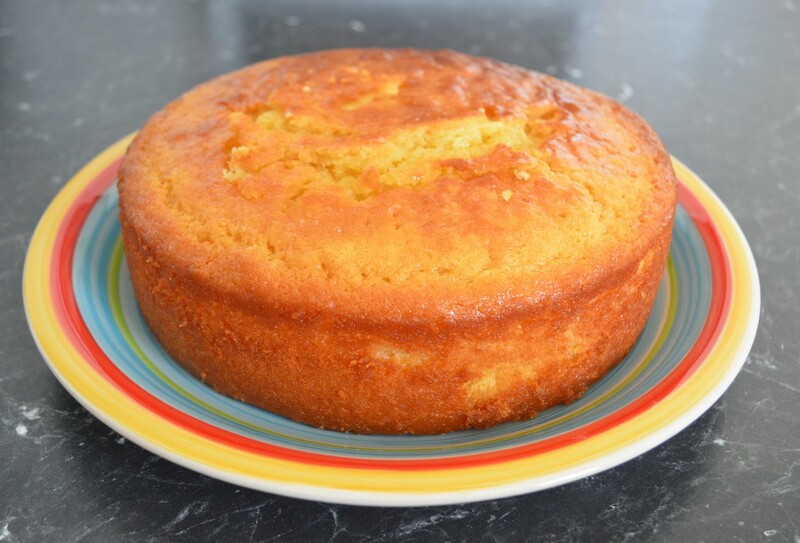 A simple cake that is scented with lemons. 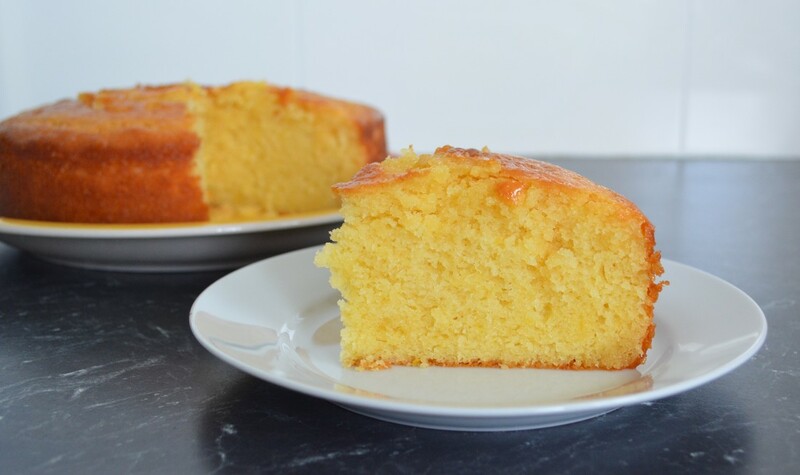 A simple cake that is just delicious. I love anything with lemon in it, especially lemon based desserts. So when I came across this traditional Greek cake called Yiaourtopita in my Eating Around the World adventure, I knew I was going to try it. 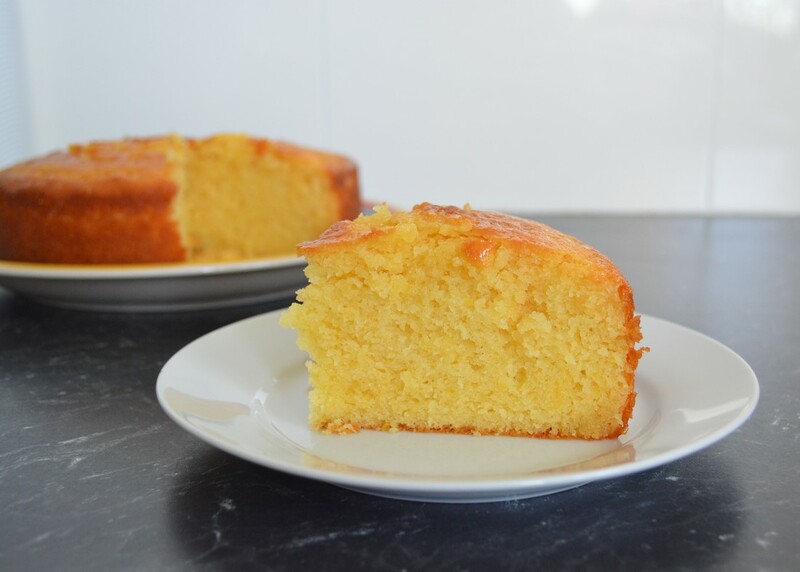 This cake uses Greek yoghurt instead of milk, and something I have learnt over the years, cakes that use yoghurt (or buttermilk) are cakes that I truly love. Why, I find the tang the yoghurt (or buttermilk) gives counters the sweetness of many cakes, it makes the creamier and moist. ​I like to beat the egg whites first, that way I don't have to wash the beaters. So if you are like me and always have a tub of Greek yoghurt in the fridge, plus a few pantry items, give this a go. It is great on its own, but it's also lovely with some vanilla ice cream. Preheat the oven to 160C/140C fan forced. Grease a 20cm round baking tin, line base with baking paper. Place the butter and sugar in the bowl of an electric mixer and beat until creamy. Add the egg yolks and beat until combined. Add the lemon zest, vanilla extract and yoghurt, and fold through with a spoon. Sift the flour, baking powder and bicarbonate of soda into the bowl and fold through. In a clean bowl, with clean beaters, whisk the egg whites until stiff, then gently fold into the mixture. Pour into the prepared cake tin and bake for 45 minutes until golden and a skewer comes away clean. Sugar Syrup: Add the caster sugar, water and lemon juice to a saucepan, stir until the sugar dissolves. Simmer over a low heat for 8 minutes. ​Using a skewer, poke holes into your cake so the syrup can soak into the cake. ​Pour the syrup over the warm cake and serve.